Travelling is inevitable, necessary and immensely enjoyable. People more travelled always tend to show a higher sense of understanding about how the world works, how people think, how different professionals operate and how that rare recipe of sushi tastes. 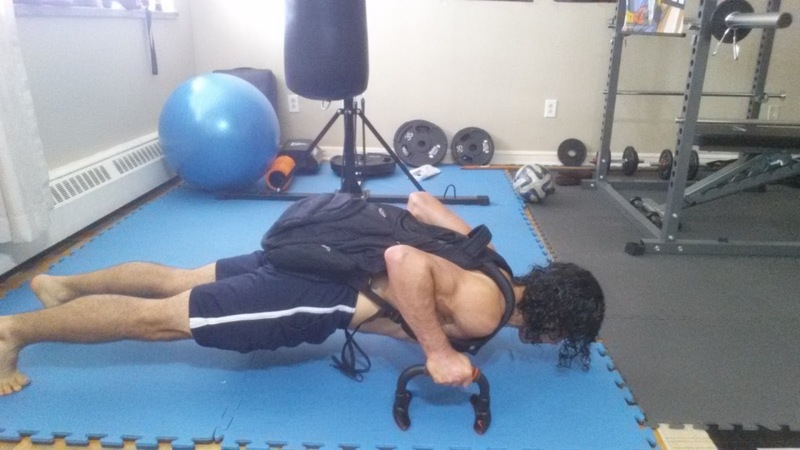 I know what avid readers of this blog might have started thinking by now: how can we carry our implements of training all around the world so that we can both be in our peak shape and exploit the benefits of a globetrotting lifestyle? Though the answer to this question can be both tough and extremely detailed, it's always easier to boil thing down to a bullet pointed list. Here are some key and handy check list items you can enlist before you start packing your bags for a trip to the Caribbeans. Nuts are a power house of nutrition. Commonly used nuts such as cashews, Almonds, walnuts, hazelnuts etc should definitely be kept handy while you are off to a long trip where there is going to be no access to quality nutrition for elongated periods of time. How much of nuts should I consume? As a standard serving size, do not over-analyse, a handful is usually enough at a sitting. You can try an assorted combination of almonds, walnuts, raisins, peanuts etc. 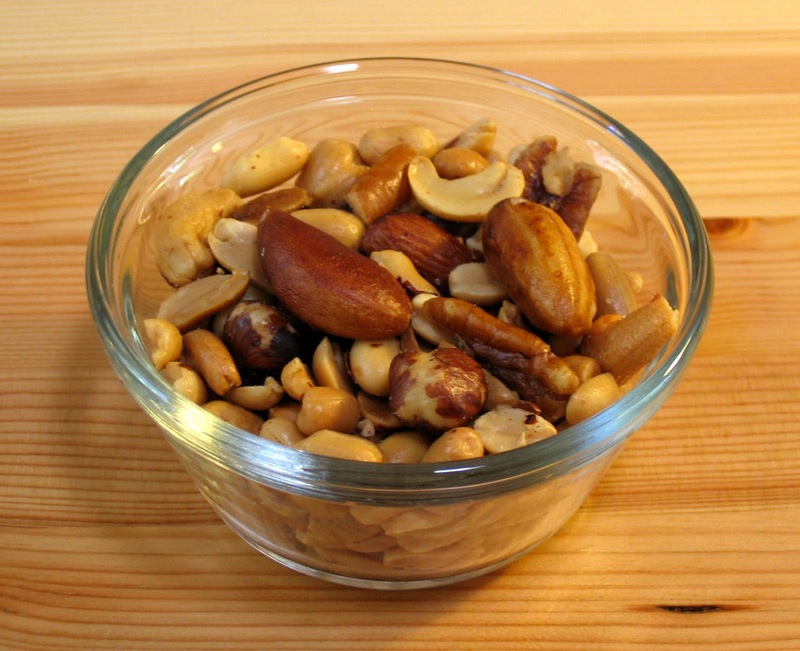 The essential fatty acid profile of nuts usually place them very high in the pyramid of energy rich foods. Acting as a slow-release energy giver, do keep your pack ready before you set off. Apart from being a primal and differently effective form of exercise, bodyweight training is also going to be your friend in strength while on the move. That is mostly due to its ready availability practically everywhere you are. Waiting for a cab/bus? How about squeezing a set of one leg calf raises. Short on time and need to catch an early morning flight to a far flung exotic holiday? How about a timed circuit of push up - bodyweight squat - vertical jump complex? The combinations of exercises and their organization seems endless. With application of sound programming principles, a lot can be done without sufficient training hardware around. This is a strategy which most athletes usually use when a lot of travel is on their calendar. Often, it is not only the unavailability of a gym, but aso the unavailability of time in between frequent hops of flights, buses, cabs and stopovers at airports, which makes training a distant possibility. Your only insurance in such odd times is an overly fatigued state that is yearning for recovery all the time. This can be achieved by taking training up a notch on the days leading to the travel. Perhaps some extra volume on the deadlifts and squats without hurting yourself in the process. This does leave you with a foggy brain at times and you might lack your usual antelope like alertness during the initial few days of the journey, but this ensures that you have the training effect alive and you do not need any additional training while you are recovering. No more searching for training options in odd, desolate placed and you might even focus more on climbing up a rock by a waterfall and get yourself photographed, in all the spirit of travel. 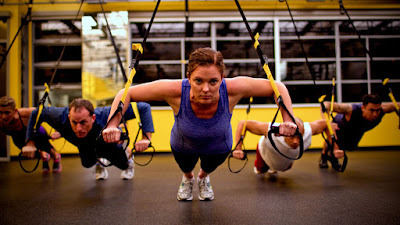 Although the one I use is a TRX suspension trainer, feel free to use any brand or version of a suspension trainer, as long as it gets the job done. In fact, two long straps of durable, inflexible material with plastic handles or loops attached to them will fit the prescription pretty good too. The most important aspect is the compactness and versatility in the form of almost every human movement that can be loaded using bodyweight on a suspension training. Parallettes not only reinforce your wrists while doing upper body pushes, but are also very handy and easy to store training implements. Handstand pushups on parallettes have the added benefit of increases bottom range of motion. In fact parallettes mimic the action of gripping a fixed external weight as against pushing with the palms flat on the floor while doing bodyweight pushes which can add a tangent that trains the grip too. A deceptively small looking abdominal roll out wheel can be a very formidable and evil addition to your training travel collection. In fact, very strong and jacked dudes grinding very big numbers on the bench, dead and SQ have been seen struggling doing a technically correct abdominal wheel rollout, even on their knees. Of course, graduating from a knees supported version to the one done on toes is itself going to be a futile journey, giving ample training opportunity to last for months, if not weeks. Extended training avenues such as these are big assets when training on a minimalist footprint. And we haven't even yet factored the advanced ab wheel rollout versions such as the one arm and the one arm one leg rollouts. 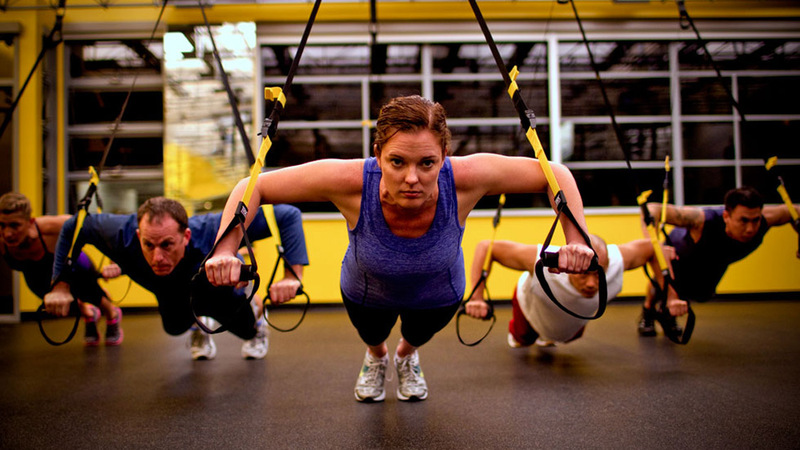 Resistance bands offer a very space-friendly option to add compounded resistance to any bodyweight exercise. Moreover, bands have the advantage of progressively graduating the amount of resistance which an exercise utilises since the further you stretch a band, the more tension it generates and the greater challenge it places on the worked muscle groups. Increasing resistance with bands is simple, just keep adding bands or simply use a band with higher tension rating. Initially originated as a clinical tool mostly used for therapeutic purposes by chiropractors and physical therapists, bands have come a long way to becoming a go to choice of powerlifters and general fitness enthusiasts alike for adding an accelerating resistance load to their exercises. While you are making the most intricate choice for your hotel and holiday plans, do make it a point to consider if the hotel you are staying with has a gym in it. In fact, I remember emailing this hotel in Jakarta that I was supposed to be staying in, repeatedly about whether they have a gym. Of course their little bothered staff did not care to ever respond which compelled me to put together this blog post on the same subject as a result. In most cases though, going the extra mile to determine training facilities in the vicinity of where you are going to stay will forever lend you an edge and will ease up life, without you having to search for help in new places. When you are already at a training expertise level where plain old pushups, squats, dips, pull ups etc do not present enough challenge to tickle your muscle cells, it's time to use training aids such as old backpacks loaded with plates or heavy objects to use while performing these exercises. It can transform simple push ups into a formidable exercise, which I sometimes find harder, yet safer than a heavy bench press. 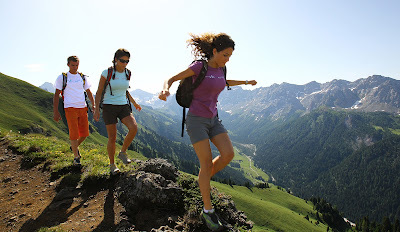 This is one form of physical activity that comes as a complimentary staple anytime you are out on a long expedition. Moreover, if your holiday requires you to be on a long trek with a heavy gear on your back for seven continuous days, there is absolutely nothing left inside you that can recite the words 'e-x-e-r-c-i-s-e'. Shopping through streets and changing railway station platforms carrying luggage can leave you gassed in no time and doing it over and over for several days is an experience the legs and calves can remember for days. Be ingenious and innovative in using cupboards, windows, doors, balconies, lofts, any sturdy furniture etc to serve as places to do pull ups, bodyweight rows, depth jumps etc from. However, watch out that you really do not get overzealous and break apart any of those stuff and end up paying the hotel, the cost of our muscle building ambitions. Be reasonable in your screening of the furniture and similar items guaging the strength of materials wisely, without spoiling the room's interior decoration in an attempt to do muscle ups on top of an unbalanced wooden cupboard. Travelling shouldn't now leave you with that glitch that keeps on telling you that something better could have been done to stay in shape. The options listed above will cover most of your fitness essentials on a very economical budget. Give these sharp ideas a try and we'll be the ones bumping into each other while walking on a beach on Krabi Islands.